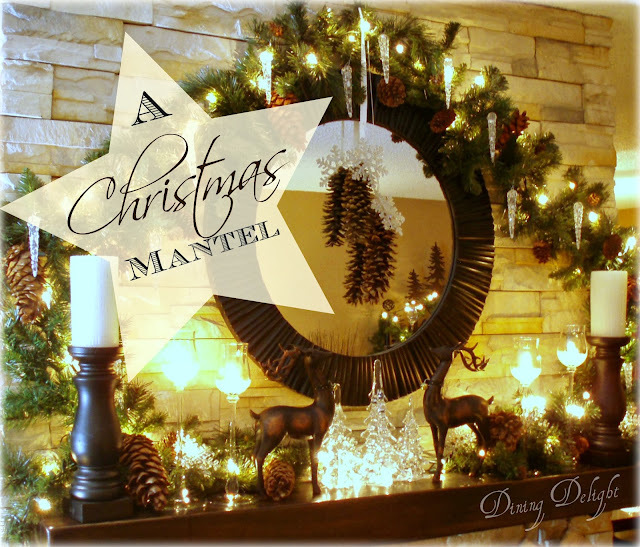 Dining Delight shared her gorgeous rustic Christmas mantel. Besa GM shared her newly renovated bathroom. Absolutely stunning! Vintage, Paint and More shared a huge assortment of handmade Christmas trees she has made. One is more beautiful than the next. Hope you will check it out. That's My Home shared a recipe for hot cocoa chocolate cupcakes. Yummy! Hi Judy! Thanks so much for hosting. I hope you enjoy the rest of your week. Thank you so much for featuring my Rustic Christmas Mantel! I was pleasantly surprised and honoured to be chosen from amongst such talented entries! Thanks for hosting this terrific party - I always enjoy checking out the talent! Thank you Judy for another great party. Fabulous features...especially that mantle! Thank so much for featuring my bathroom remodel.So honored. Thanks for hosting another great party, and enjoy the rest of your week. I am enjoying the ambience of this wonderful Christmas Season this year more than usual. Thanks for hosting Judy, a pleasure to join in. Thanks so much for hosting, Judy. So fun to be at the party again this week and to see all of the beautiful holiday decor. Thanks so much for hosting. those cupcakes look delish! just linked up, thanks for hosting, Judy!